There is nothing on earth that can compare to being a mom. My two boys stole my heart before they were ever born. I would fight for them and die for them without hesitation--it's what moms do. I want nothing but the best for them. But there is so much about life that is out of my hands. That's why I'm passionate about praying for my boys. 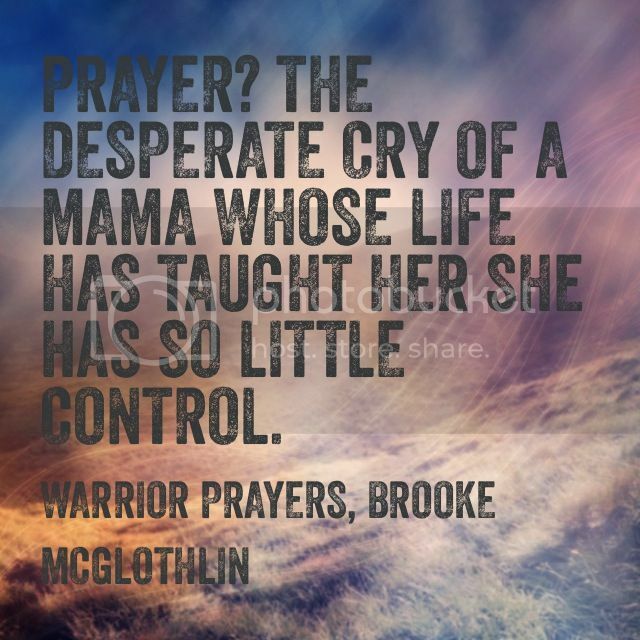 I first read Brooke McGlothlin's book, Warrior Prayers, several years ago. By the time I finished, there were tear stains on many of the pages. It was an amazing resource, full of Scriptures to pray over my sons. 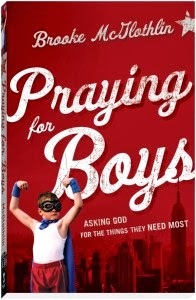 Now, Brooke has a brand new book, Praying for Boys: Asking God for the Things They Need Most, and it's even better. I'm so excited to be a part of the launch team for this fantastic book. I started off the new year by reading Praying for Boys and adding notes to my prayer journal. Once again, the tears flowed freely as I asked God for big things for my boys. What led you to write your book Praying For Boys? My husband and I have two boys who were born just 23 months apart. I probably don’t need to say much more than that, do I?? That’s enough to keep any mama on her knees! Actually, I’ve done a lot of hard things that I’m very proud of in my life, but raising my boys ranks up there as THE hardest thing I’ve ever done. In the book, I talk about how I asked God to give me boys, and that’s true, but the reality of the day to day mothering of what I like to refer to as “those boys,” (you know, the ones who are 250% boy?) often leaves me completely worn out. I realized early on in our parenting journey that I had no power to change their hearts. And while everything in me wanted to be able to snap my fingers and produce good, godly men, the Bible just doesn’t give us that parenting formula. So in an effort to just do something, I started praying verses from the Bible for my sons…verses based on things I wanted to see the Lord develop in their hearts. It was my way of crying out to God to change them, but it ended up changing me, too. After a year or so of doing that, and of constantly hearing from moms on the MOB Society, my blog for mothers of boys, who wanted to raise godly men, but felt like they were losing the battle, I decided to create a resource that helped them learn how to pray for their sons. It seemed a simple answer to me at the time, but the longer I encourage moms to pray the more convinced I become that prayer is the most overlooked part of raising godly men. So you have two young boys, you homeschool them and you oversee a popular blog as well. How do you even make time for prayer? That’s a great question, because I’ve had people ask me even recently how I do it all. The answer is that I don’t. We’ve recently hired two Virtual Assistants to help us run things at the MOB Society, and I have a team of over 35 writers who make that community strong and consistent. I have a co-owner of the site who runs the marketing and advertising, which frees me up handle the writing team, and dream of our next big thing. And most importantly, I have a husband who serves me and loves me way better than I deserve. When I was writing Praying for Boys, and again while I’ve been preparing to launch it, he has basically taken over the household duties. The only things he doesn’t do are homeschooling our boys, and cooking. But he does everything else—laundry, cleaning, paying the bills. It’s a season we’re in, and he’s definitely stepped up to the plate for me in many ways. I couldn’t make any of this work without his heart to serve me and the boys. But even more important than having people help me, is that I’ve learned that in order to function well, I HAVE to pray. I HAVE to stay connected to the heart of God, I HAVE to hear Him leading me, I HAVE to pour out my heart to Him and beg Him to help me raise my boys, and I HAVE to petition Him to fulfill His Word in their lives. If I don’t pray, I’m useless. If I didn’t meet with the Father regularly in prayer, there’s no way I could ever live out the life He’s called me to with any kind of integrity or excellence. I’m not saying prayer is a “magic lamp” so to speak, that makes my life turn out the way I want it to, but I am saying that prayer keeps me focused on HIS plans for my life, and helps keep HIS voice as the loudest, and I just have to have that, both as an entrepreneur and as a woman trying her best to follow Jesus. If I didn’t pray, I wouldn’t want to do ministry. What do you feel is the greatest obstacle moms must overcome in order to be women who make prayer for their boys a priority? We give priority to the things we find most in important in life. For example, I’m pretty partial to eating. I get sick and grumpy very fast if I don’t eat when I’m hungry, so because of that, I tend to place a high priority on meal time. I make time for it. Some of my friends are dedicated to exercising, so they find time for it and let others things on their to-do list slide to a lesser priority status. So it is with prayer. When we know how powerful a praying life can be—not just because it allows us to join with God in shaping the hearts of our sons, but also because it keeps us connected to His heart, shaping us into the kind of parents HE wants us to be—we make time for it. So really, the greatest obstacle to overcome is how important, or unimportant, we believe prayer really is. Brooke McGlothlin is Co-founder of Raising Boys Media, where moms and dads come to discover delight in the chaos of raising boys. 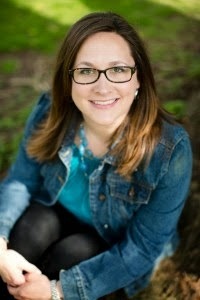 You can find her writing about fighting for the hearts of her sons at the MOB Society blog, or living a life in pursuit of Jesus at her personal blog www.brookemcglothlin.com. A normal day finds Brooke homeschooling her two boys, wrangling two large Labs, Toby and Siri, writing to bring hope to the messes of life (in the midst of her own messy life), and falling more and more in love with the man she’s had a crush on since the third grade (who just happens to be her husband). The giveaway ends Friday, January 31! Last week, I shared some of the benefits I've found through journaling. It's a great way to take your walk with God to the next level. But how do you start? The first thing you'll need to do is decide what type of journal you want. Journaling styles are as varied as the people who create them. No two people think, write or create exactly the same way. I have several friends who journal, and each of us has our own unique style. 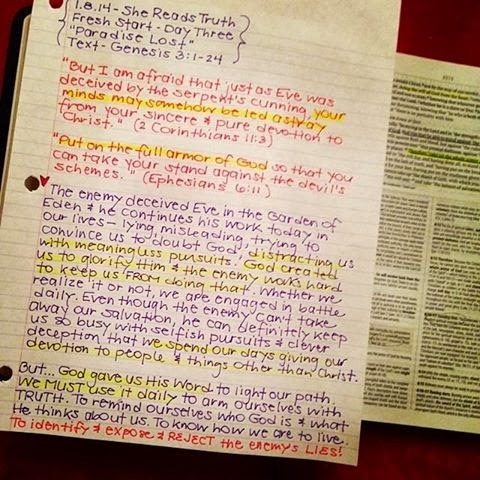 Amy does Bible studies through She Reads Truth. 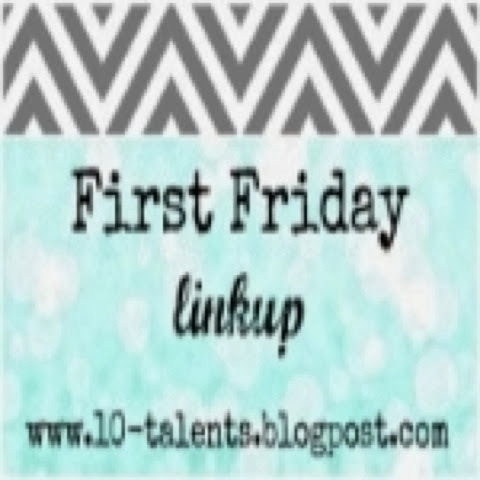 She posts great insights from her studies, as well as her 1000 Gifts lists and other journals. You will love the inspiration she shares! This is my personal favorite, and it's the style my own journal is in. A smash book is basically an "anything goes" kind of journal. Sometimes I write, sometimes I glue in photos or quotes that are meaningful to me, sometimes I keep lists. It's a combination of many things - a form of simplified scrapbooking. Scrapbooking takes the smash book idea to the next level, making it more artistic. 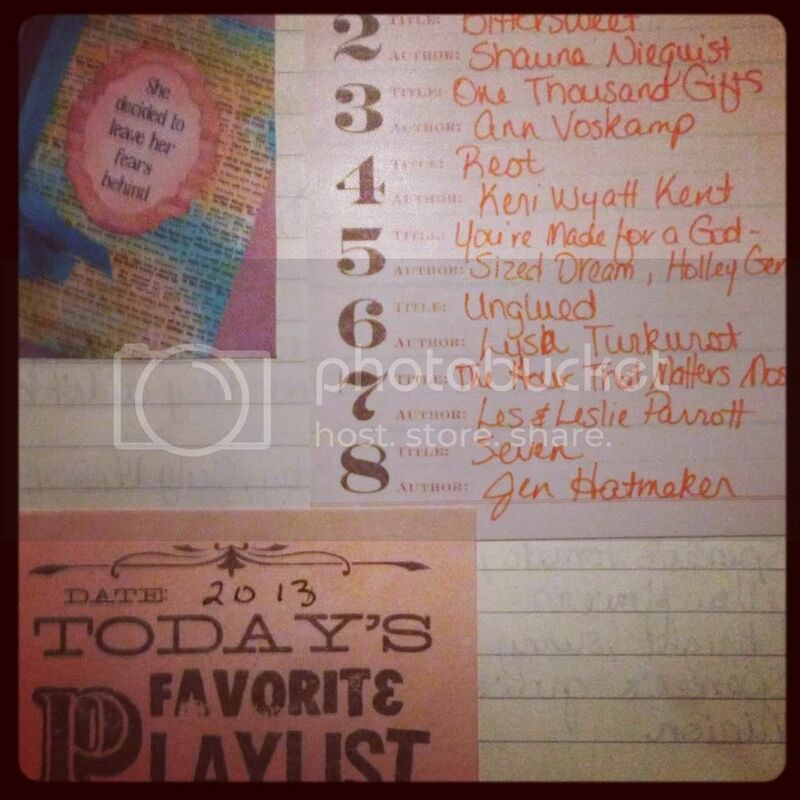 A great place to start is Courtney Walsh's blog, where she shares a lot about scrapbooking your faith. What style are you drawn to the most? Your journal doesn't have to fall into just one category. You can mix and match several styles. That's part of the beauty of it - your journal is your own, as individual and unique as you. There it is again - Jesus' hand. That nail scared hand, the one I am inscribed on; the hand that's reaching out to me, holding onto me, never letting me go. I've seen it in my Bible study over and over again lately, constant reminders that He is always with me. When I was nineteen, I faced a minor outpatient surgery - I had to have my wisdom teeth removed by an oral surgeon. It's not a big deal, but I'd never had surgery before, and I was allergic to almost every antibiotic known to man. I didn't know how I would handle being put to sleep, and I was nervous. One night at a college ministry meeting, eyes closed in prayer, I suddenly saw a big, strong, scarred hand reach out and take my right hand, holding it tight. The picture was crystal clear. I've never had an experience like it, before or since, but in that moment, I knew that I was secure in my Father's hands. Honestly, I had been there all along. I just needed a reminder. There have been many moments since when all I could do was cling to my Daddy's hand: when we faced complications with our youngest son before he was born; when he decided to make his appearance a month early and spent days in the NICU; when close friends betrayed us; when the future was uncertain; when I watched a family member's marriage begin to crumble. 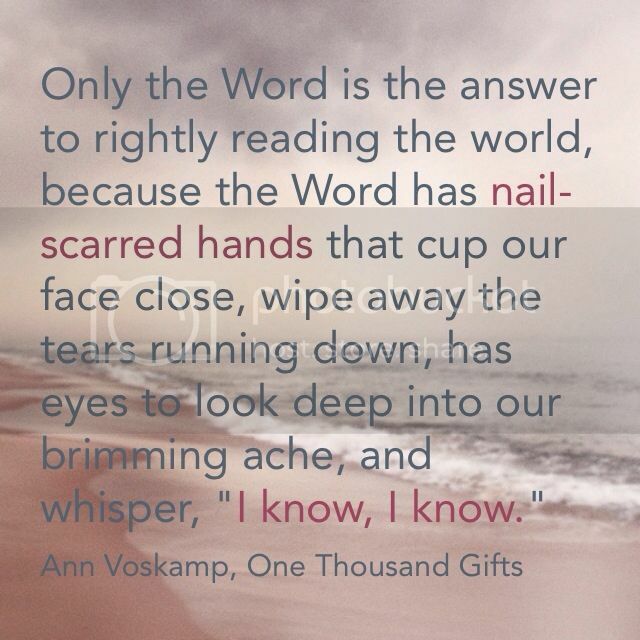 Each time, when I faced a battle completely out of my hands, I learned to cling a little tighter to His hand. Holding onto my Daddy's hand means more than just safety, though. It means focusing on the here and now instead of looking ahead into the unknown. It means trusting Jesus when I can't see the path ahead. It means knowing that He already knows every step, and He will walk it with me. Psa 73:23 Nevertheless I am continually with You; You have taken hold of my right hand. When I put myself completely in His hands, I have peace, true peace that only comes from God. I have healing, forgiveness, and a Father who will never, ever leave. I know He's still holding on. 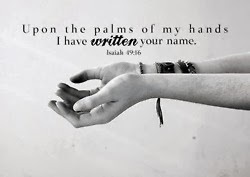 I'm inscribed on His hands. He's my Daddy, my Abba, and He's not letting go. He promised. When I mention journaling, what comes to mind? If you're like most people, you probably think of teen girls writing about their latest crush in a little locked diary. Maybe you think of "The Diary of Anne Frank" - a book that had a huge impact on my life. What if I told you that journaling is something you can do, and that it can deepen your relationship with God in just a few minutes a day? If you're anything like me, you already have a pretty full to-do list. You've probably got some New Year's resolutions, too. Maybe one of them is spending quiet time with God. It's hard to find time to sit down and read your Bible or pray. It can be a struggle to fit everything into your day. You may be wondering: My life is already hectic - why add more? How am I supposed to add another piece to the puzzle? Why should I journal? I journaled consistently for several years as a teen and young adult, but gave it up in my early twenties. 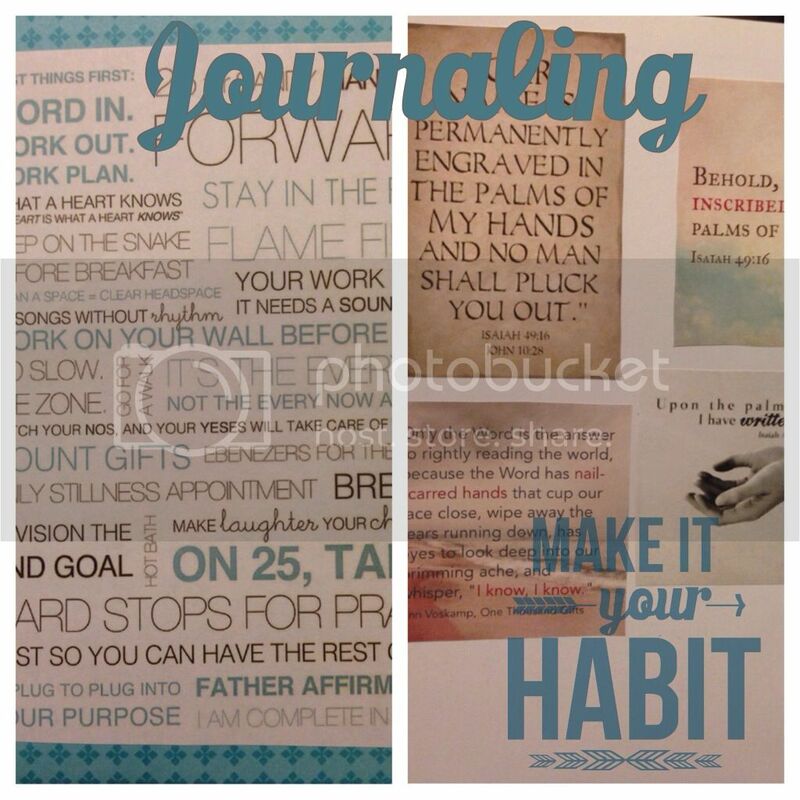 A few years ago, I started the habit again, this time transforming it into faith journaling and incorporating it into my time with God. 1. Journaling has added more depth to my time with God than anything I have ever done. If you want to really grow your relationship with Christ, start journaling. Tell Him what you're thankful for. Write out your prayers. Write out the verses that seem to jump off the page as you read or the words that touched your heart. Find recurring themes and what God is speaking to you. You will a new depth in your relationship with Christ. 2. 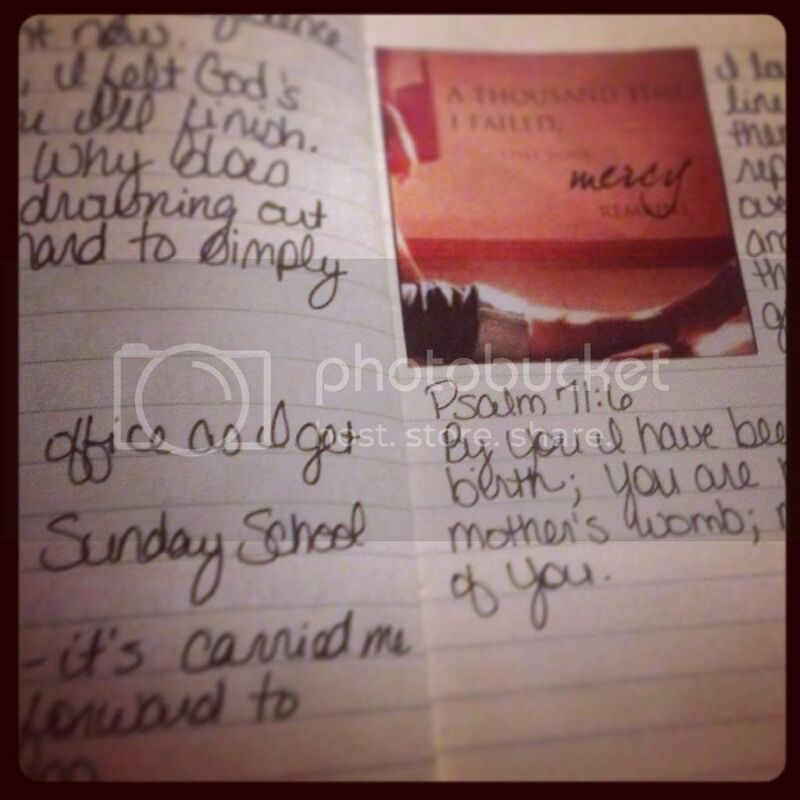 Journaling gives me a concrete reminder - my own personal memorial of what God has done in my life. I read a devotional recently on memory stones, like the ones Joshua placed in the Jordan where the priests carrying the ark stood as Israel crossed over. That's what journaling is to me - it's my memory stone. It's where I can point and say, "This is what God has done." I want to lay stones not just for me, but for my children, too. My kids have to see and hear what God has done in my life, and remember what He has done in their lives. We have to lay memory stones for generations to come. I pray that my journals will give my children and grandchildren evidence of their heritage of faith. 3. Journaling forces me to slow down and focus on God and His Word. We live in a fast-paced world. We're constantly on the go, racing from one activity to the next. When I journal, it forces me to slow down and focus on God. It makes me think about the words I'm reading and writing. Journaling doesn't have to be time consuming or complicated. You don't have to journal every day, and you don't have to spend hours on it. It only takes a few minutes, and the benefits are enormous. Ready to start? Grab your journal, if you have one - if not, grab a notebook and add this to your journal later. Write down your "why." Why do you want to journal? What do you hope to gain from it? Then share in the comments why you want to journal. Need more ideas? You can check out my Journaling board on Pinterest here and come back next Monday to learn about different journaling styles. I'd read the verse several times before, but this time, everything changed. The words came to life and jumped off the page at me. 15) "Can a woman forget her nursing child and have no compassion on the son of her womb? Even these may forget, but I will not forget you. 16) "Behold, I have inscribed you on the palms of My hands; Your walls are continually before Me. I want to live my life knowing that I am fully and completely His. I want to make decisions that are grounded in His Word. This year, I want to learn what it really means to be inscribed.